DeAnte Thompkins has hired and mentored more than 600 high school students as director of MDOT’s Metro Region Youth Development and Mentoring Program (YDMP), a program he was once in himself. 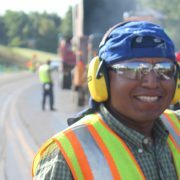 MDOT’s twelve-week program provides summer job training as a foundation for entering transportation-related careers. We recently asked him some questions about his experience with mentorship programs. What’s a typical work week for the students in the program? Participants in the program work a standard forty-hour work week. The week is generally broken down into three days of work in the field and two days of mentoring activities. Over the last several years, we have partnered with the Michigan Department of Natural Resources so that the students could help in the beautification efforts of Belle Isle State Park. This provides a very safe work environment for students while still making an impact on a gem of Metro Detroit. What are some actual student paths after finishing the program? We have a number of success stories that have come as a result of being exposed to our Youth Development and Mentoring program. 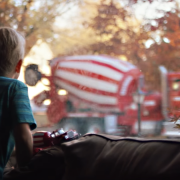 After being exposed to the opportunities in transportation, we have kids go on to major in civil engineering. 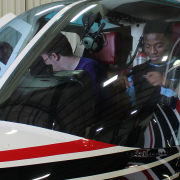 We have a gentleman that has been with YDMP since roughly 2009 who decided to become an aircraft mechanic because of what he saw during our mentoring event at MDOT’s Aeronautics garage in Lansing. We have other students that went on to get skilled trades certifications because of exposure to that career path. Although our overall goal is to expose students to transportation-related careers, our greater goal is to push continued education, in some capacity, beyond high school. We do everything we can to ensure this, from helping students with the Free Application for Federal Student Aid (FAFSA) to helping them fil out actual college applications. Every student who comes out of our program has developed a five-year plan to reach their goals. What was your personal path through the program and how did it help you afterward? 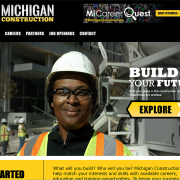 What value has the program brought to MDOT and the students? I started in the program in 2007 as a Supervisor while home from my first year of college (Northwood University). My job was to mentor and guide five high school students in hopes that I could inspire them to go to college and take the path that I chose. I came back to work every single summer after that, always advancing up in the leadership ranks while trying to maximize my impact on students. Being well versed in the program afforded me an opportunity to interview for the position that I am currently in once I graduated college. The program taught me a great deal about accountability, networking, various administrative duties, and most importantly the value and impact of shaping a young life. 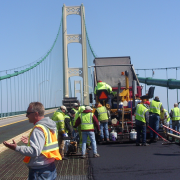 This program is a gem for MDOT. We truly believe that we must invest in our youth in order to make an impact on the community. The students rate the program very highly and want to retain positions in our program for following years. What does someone need to know now if he/she is thinking of starting a summer mentorship program? If someone is looking to start a summer mentoring program, I’d advise creating a structure that works for their company. It’s important you start small and grow your program up the maximum capacity. Taking on too much at once in the beginning could lead to employee burnout. Once you figure out the capacity you can handle, put the right people in position to make an impact on those getting mentored. Everyone is not a good mentor. There has to be a level of passion that is present in order to have the maximum effect on others. If a person is not vested in the vision of the mentorship program, there will likely be some disconnect that will have a negative effect on your core goals. What are three activities people wishing to emulate your program’s success might start today? Leadership Training – It is important that mentors understand your vision for the mentorship program. They are a direct extension of you, so it’s extremely critical that they abide by all of the guidelines that are in place. We evaluate each mentor on their leadership style through having them take a simple questionnaire. The questionnaire is beneficial to the mentor because it allows them to reflect and adjust certain characteristics that they have for the greater good of the team. We also train our leadership on all paperwork, policies, safety (first aid, vehicles, PPE and CPR), situational events, and lay out all expectations prior to the mentees being onboard. Partnership Events – Partnering with leaders in the industry has proven to be pivotal in taking our program to the next level. 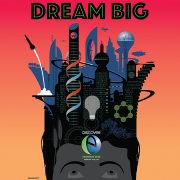 We have created many events such as Engineering Discovery Day where we partner with a University and industry partners to teach student’s multiple aspects of civil engineering through presentations and hands on activities, while providing a college atmosphere for them to dream about and learn from. 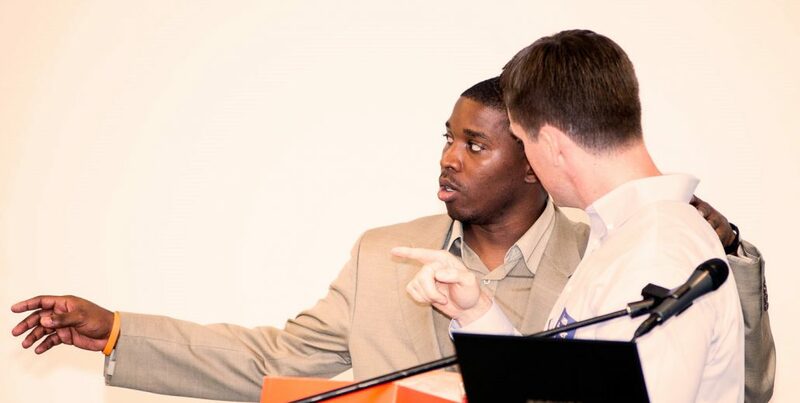 Networking to find industry partners that have the same goals and passion as you will help you greatly in the long run. Strategic Recruitment – We recruit for both our leadership positions as well as our student positions. Students in our program must have at least a 2.5 GPA as well as provide us with a letter of recommendation. I also made it a point to network with the local universities so that we got a diverse applicant pool of leaders from multiple universities for our program. Leveraging partnerships on both the high school and collegiate level, as well as from community groups, has helped us get a great pool of applicants that are eligible for our program. Over a period of years, your recruitment efforts will ease up because of it will begin to spread widely through word of mouth and contacts will begin coming to you instead of you trying to seek out everyone else. For more information about the MDOT Metro Youth Development and Mentoring Program (YDMP), go to www.michigan.gov/mdot-ydmp or contact DeAnte Thompkins at thompkinsd@michigan.gov.